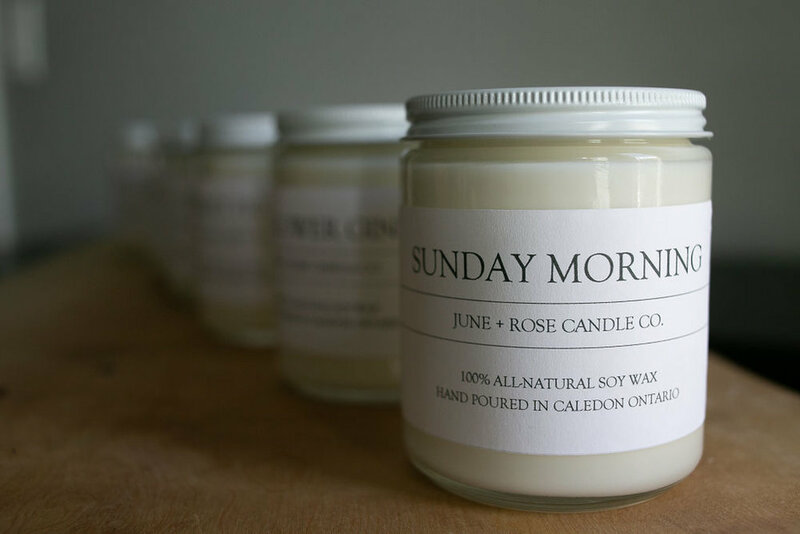 About — June + Rose Candle Co.
high-grade fragrance oils, free from harmful chemical ingredients like parabens and phthalates. All ingredients are sourced in Canada and hand poured in Caledon, Ontario, in small batches. Labels come off easily and won’t leave a sticky mess behind, so after enjoying our unique scent blends, you can repurpose our glass jars in many ways – vase, makeup brush holder, bathroom organizer – get creative and have fun! Or if you live in the Caledon area, feel free to come on by and drop off your empties so that they can be used to house new candles.